Timely tax planning is the key to having a secure financial future. Here are a few tips to get it right. Sunny Aggarwal, a senior human resource manager with a private company, was struggling to make tax-saving investments in January, barely three months before the end of the financial year. He managed to make some investments after struggle. But he was not convinced if he had opted for the best available options. Most of us have faced the consequences of late tax planning some time or the other in our life. That's why the best tax planning advice experts give is simple-Start Early. "Starting early helps you avoid last-minute decisions which have a high probability of going wrong," says Rohit Shah, a Mumbai-based financial advisor. Starting right now can give you time to think through your objectives plus room to evaluate the various products. "Investment in tax-savings instruments can be done anytime during the year. The decision should be taken keeping into consideration factors such as availability of funds, expected returns and market scenario (if investments are linked to markets)," says Rakesh Nangia, managing partner, Nangia & Co. He says tax-saving investments should not be made in haste. Anup Bansal, chairman and managing director, Mitraz Financial Services, agrees. "The best time for tax planning is the start of the year. One should factor in income, deductions such as house rent allowance, conveyance and medical provided by the employer, provident fund contribution and home loan principal/interest payments and plan accordingly." He says investment in all interest-yielding tax-saving instruments should be made at the start of the year. However, there is one exception to this. "One can invest in fixed maturity plans, or FMPs, towards the end of the financial year to avail of extra indexation benefits. But this will save tax on only future earnings," says Bansal. Indexation involves adjusting the purchase price of an asset with an inflation rate that is announced by the government every year. It lowers the gains and, hence, the tax liability. Many people buy 444-day FMPs at the end of the year to avail of indexation benefits for two years. This minimises and, in some cases, even negates the tax due. "The benefit of investing from the start of the year is that you get to invest small amounts throughout the year and don't have to strain finances at the end of the year. For instance, one can look at starting systematic investment plans, or SIPs, in equity-linked savings schemes, or ELSS, of mutual funds," says Ashish Shanker, head, investment advisory, Motilal Oswal Private Wealth Management. Tax planning has two parts. The first is following the steps properly and the second is choosing the right products. One of the things that one must get right is the asset allocation. Link tax saving to some goal(s) and choose products accordingly. This will also tell you about the right time frame, which you can use to select the lock-in period of products you are buying. Find out about all the features of each product. 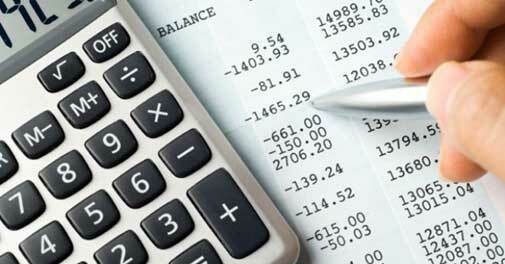 For example, Bansal explains, "There are two kinds of tax-saving instruments. The first saves current tax and includes EPF, PPF, unit-linked insurance plans, or Ulips, and endowment plans. Then there are instruments that help save tax on income from these instruments. These include long-term tax-free bonds, equity mutual funds and stocks (held for more than a year), and FMPs." If necessary, take help from a financial advisor. Look at all aspects of the product before signing up. Shanker of Motilal Oswal believes that one can use tax-savings instruments to build a retirement portfolio. "Retirement is a few years away for most of us and, hence, one can look at investing in a phased manner in ELSS options of top-rated mutual funds as equities are good wealth creators over long periods. As one nears retirement, the portfolio can be gradually shifted towards fixed income." Jayesh Shroff, fund manager, SBI MF, echoes this. "Typically, taxsavings instruments have a long lock-in period and, therefore, it's best to invest in products which have given higher returns over long time frames. And equities' track record shows they have given the highest returns over long periods in India." Nangia says the debt part of the retirement portfolio can be built by investing in PPF. "Tax-saving deposits have a lock-in of five years. The redemption proceeds in the 6th year can be used to invest for another five years. Keep in mind that the interest earned on such deposits is taxable," says Shah. "Tax-saving instruments can be used 'only partly' to build a retirement portfolio. I will not recommend ULIPs and endowment plans as these have high expenses and give low returns. For retirement I recommend EPF, PPF and tax-free bonds. People should also invest in shares due to zero tax if held for more than one year. The returns are also higher than the inflation rate in the long term," says Anup Bansal of Mitraz Financial Services. "With new regulations, retirement ULIPs may turn out to be not so expensive in the long term. One should carefully review the charge structure, lock-in period and surrender charges," says Shah. Of course, there is no straitjacket formula for choosing a product. "A lot depends on the investor's risk appetite and financial needs," says Nangia.